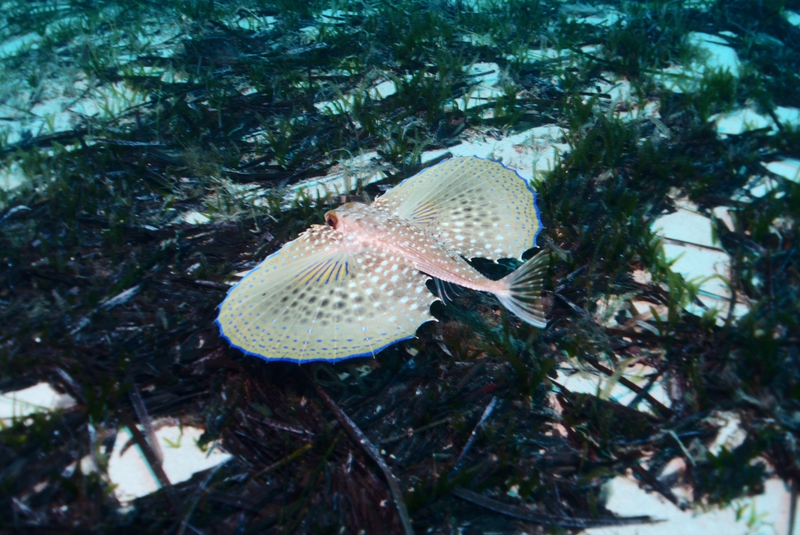 There always seems to be a flying gurnard (Dactylopterus volitans) or two on the way to the P29 in the sand. Today was no exception! This work is licensed under a Creative Commons Attribution-ShareAlike 4.0 International License. Please attribute Kristaps, the photographer, with a link to kristaps.bsd.lv/photo0025.html.